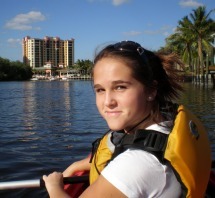 Cape Coral boating, canoeing, and kayaking - find out about boat rentals, boat ramps, and marinas - fun on the water in our Southwest Florida paradise! 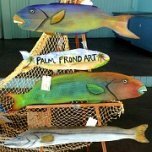 Cape Coral has over 400 miles of canals, lakes, the Caloosahatchee River and proximity to the Gulf of Mexico. If you like boating, you will love it here! 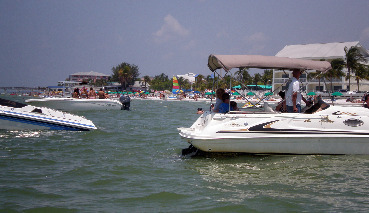 It's so much fun to take the boat out for a day, head over to Ft Myers Beach and anchor off shore. Then have a picnic lunch, and relax and float in the water. 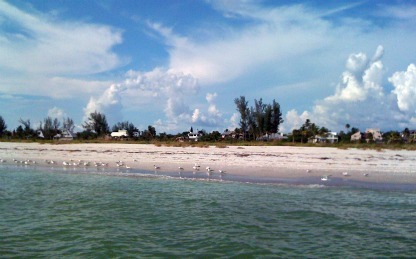 Or, head over to Sanibel to look for shells .......... or maybe Lover's Key to find a deserted stretch of beach. You'll also want to explore the islands of Captiva, North Captiva, Useppa Island, Cayo Costa, Cabbage Key, Pine Island and Matlacha. There are so many places to discover amongst the canals, lakes, river, mangrove stands in the estuaries and bays, islands small and large, and the Gulf. 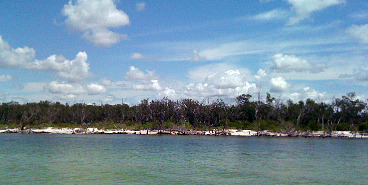 You'll be able to see dolphins, manatees, and all kinds of fish, and birds. Then, on the way home if you have time, stop at KCs River Stop the snack bar at Yacht Club Beach, here in Cape Coral. And when we get home, it's so refreshing to jump in the pool after being in the saltwater and having our hair and faces wind-whipped by the salty air. Scroll down to see Cape Coral boat launches, marinas, boat rentals, kayaking information, and boating regulations. Boat Ramp, restrooms, parking, freshwater access. 2600 S.E. 26th Pl. off of Everest Pkwy. Boat Ramp, restrooms, park, and boat trailer parking. 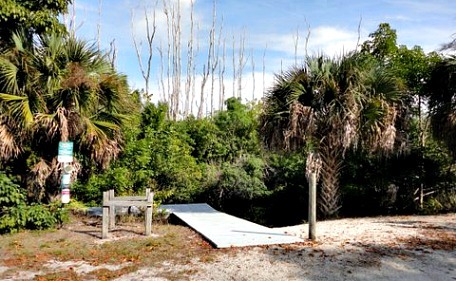 Two Saltwater Boat Ramp, boat trailer parking, restrooms, walking trail, and boardwalk. Double boat ramp, freshwater canals and lakes, parking, restrooms. To get more info and view photos of the the above launches, go to my Boat Ramps and Launches page. Deepwater slips, annual and transient dockage. Indoor boat storage, boat sales, and services. instruction, ship store, lounge, pool. boat sales and consignments, repairs. 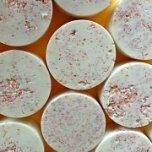 Wetslips, dry slips, boat sales and services, bait and tackle. 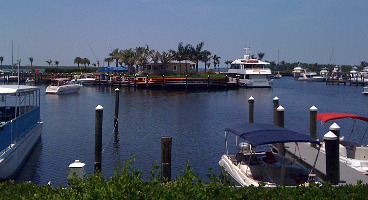 For more details and photos of these marinas, go to my Cape Coral Marina Information page. And, just on the border of Cape Coral and Punta Gorda is Burnt Store Marina, a beautiful gated community with golf, tennis, and restaurant. 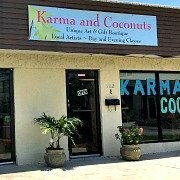 Boat rentals up to 23', kayak rentals, back bay fishing, private parties, corporate outings, dolphin and sunset cruises, shuttle to Ft Myers Beach. cleaning or briefing fees, sunrise to sunset. fully equipped and insured, instructions provided, extras. Great selection of rentals, you only have to 21 to rent, also has dry storage and sales of pre-owned boats. 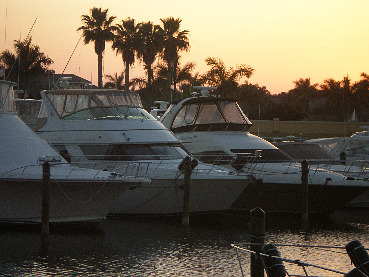 For more information on rentals, sales, and clubs, go to my Cape Coral Boat Rentals and Sales page. When you think of Cape Coral boating options, don't forget, there is some fantastic kayaking in our area! Sirenia Vista Park on Ceitus Pkwy, to North Spreader Canal system and Matlacha Pass. West Tropicana Pkwy at the dead end, to North Spreader Canal system and Matlacha Pass. Eco Park, which also has single and tandem kayak rentals that run on weekends from October-May, and eco tours along creeks that lead out to the Caloosahtchee River. The D&D Boat Launch on Pine Island Rd in Matlacha is another good spot. 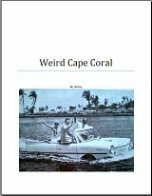 Go to my Cape Coral Kayak Launch Sites page to get more information and see photos. 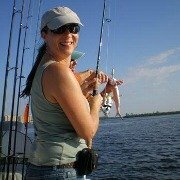 Go to my Cape Coral Fishing Page for more boat rentals and fishing charters. Remember to practice safe boating. Watch out for manatee zones, and sea grass beds. Manatees are protected by law, they can not be hunted, captured, killed or harassed in any way. Sea grass beds are homes to manatees and green sea turtles, another protected species. Find out about the Cape Coral boating regulations regarding wildlife, plus laws, citations, about life jackets, safety, statistics and other information about everything to do with boating in Florida. To make it fun for kids and adults, you can download a Scavenger Hunt at Florida By Water. Make sure the vest fits properly, if it doesn't that could be worse than no vest at all. Make sure straps and buckles don't rub sensitive parts. Look for foam flotation centered on your dog's body to make swimming easier. Get a vest with a handle or lifting strap. This is important if your dog abandons ship and you want to bring a slippery, wet dog back on board easily and without capsizing, especially if you're on a canoe or kayak. Go to BoatUS for more information about dog life vests and other boating information. Well ....... 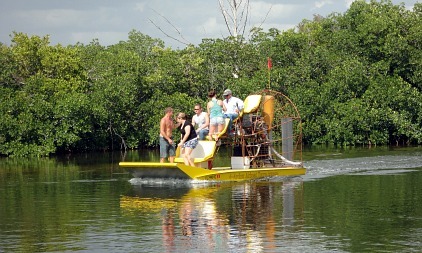 I don't know about you, but when I think of boating in Southwest Florida, I think of airboat rides in the Everglades. Well, you don't have to drive that far because we have the wonderful Archer Airboat Tours, just over in Matlacha, for scenic tours or fishing. You will definitely want to go on this unique Florida boating experience at least once. 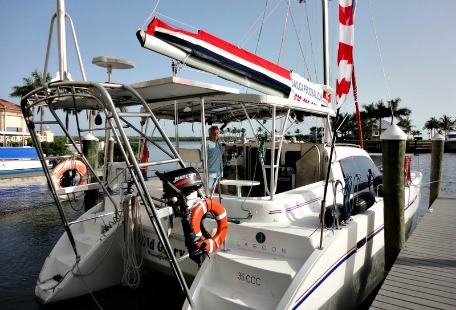 If you prefer something a little more relaxing, you'll want to know about the catamaran charters from Captain Bud at Sail Cape Coral. You can go for a half-day, all day, sunset, or after-dark cruises. 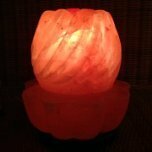 It's so nice, I can't even describe it ......... you'll just have to go! For more information, go to Cape Coral Sailing. 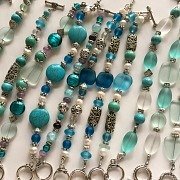 For more ideas for cruises in Cape Coral and nearby in Ft Myers and even beyond to Key West and the Caribbean, go to my Cape Coral Cruises page. Life is so much better on a boat. So buy, rent, or charter a boat ....... go kayaking, airboating, sailing, and cruising ....... just get out on the water and go boating! For boating supplies in Cape Coral, West Marine, the world's largest boating supply store, is conveniently located at 1012 East Cape Coral Pkwy, (239)540-7300.